The last date to apply for SSC Junior Engineer (Group B) posts is 17 November 2017. 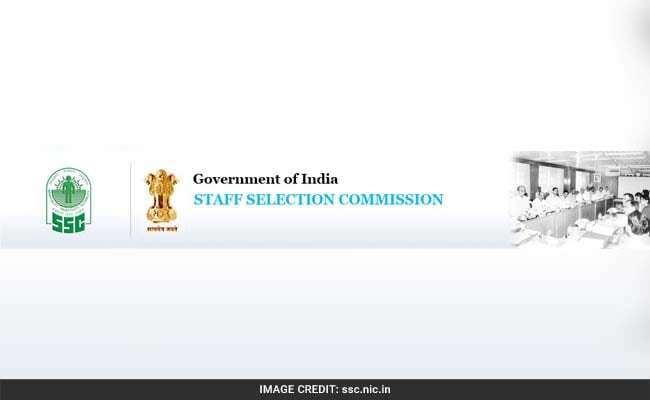 New Delhi: Staff Selection Commission (SSC) has begun online registration for recruitment of Junior Engineers Group-B (Non-Gazetted) posts. The Commission will conduct computer based written exam from 5 January to 8 January 2018. 'The posts have been identified suitable for the persons suffering from disabilities of forty percent (40%) and above of One Arm (OA), One Leg (OL), Hearing Handicapped (HH) as per guidelines of Ministry of Social Justice and Empowerment,' reads the official notification. Only male candidates are eligible for the posts of Junior Engineers in Director General Border Roads Organisation (BRO), Ministry of Defence. Candidates shall have to pay Rs 100 towards application fee. Zero fees for women candidates and candidates belonging to Scheduled Caste, and Scheduled Tribes, Physically handicapped and Ex-Servicemen. The written exam will comprise of two papers: objective (computer based) and conventional type (written exam). Paper 1 will comprise of questions related to General Intelligence Reasoning, General Awareness, General Engineering (Civil and structural or Electrical or Mechanical). Paper 2 will consist of questions from general engineering and candidates will be allowed 2 hours to take the exam. Candidates are allowed to bring their own slide-rule, calculator, logarithm tables, etc. for Paper 2 only. Candidates can apply at the official website ssc.nic.in.